As you can guess by the title of this post, I’ve been away travelling for the past few weeks through the beautiful country of Croatia. My friends and I started the trip in Samobor, just 25 km west of the Croatian capital of Zagreb. Coming right off the plane, we were starving. 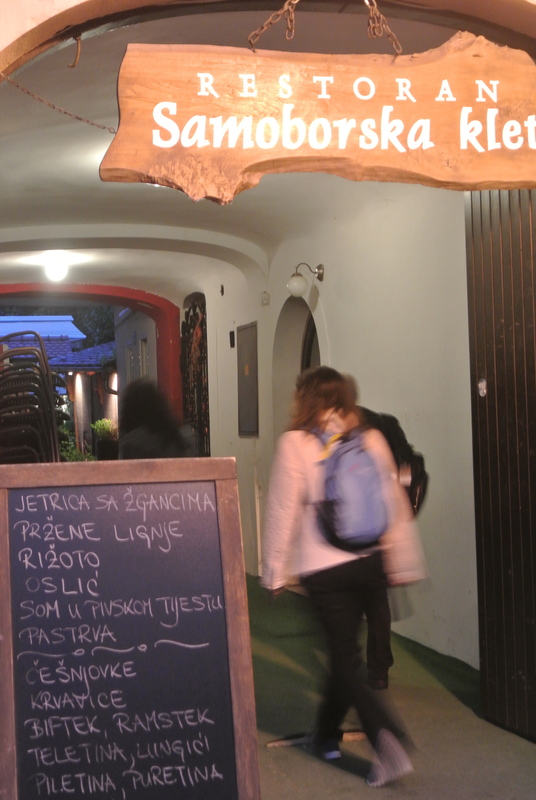 A number of the bars in the main square recommended Samoborska klet, a restaurant hidden behind a long corridor off the square which opens up into a patio and the main dining room of the restaurant. We sat in the back room which looked like the original part of the restaurant (before it expanded). The one dish suggested by the server was the grilled mixed meat platter – on the menu this is a platter for two, well it can definitely serve four! 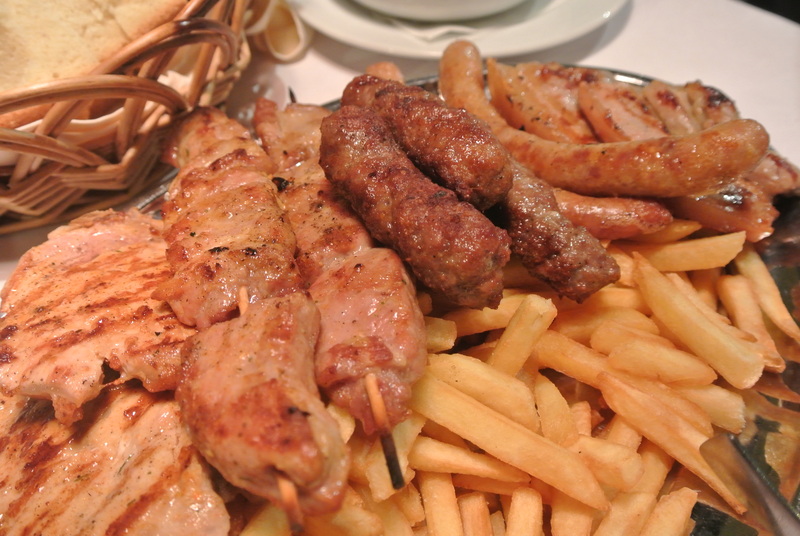 It came with pork chops, lamb, cevapi (traditional croatian minced meat), sausage and pork belly – a carnivore’s delight. What was just as tasty was the red pepper sauce that came with it. Nothing like the red pepper dips that I’ve tasted here, this wasn’t made to be creamy and the sweet red pepper flavour stood out so distinctly – it was delicious. 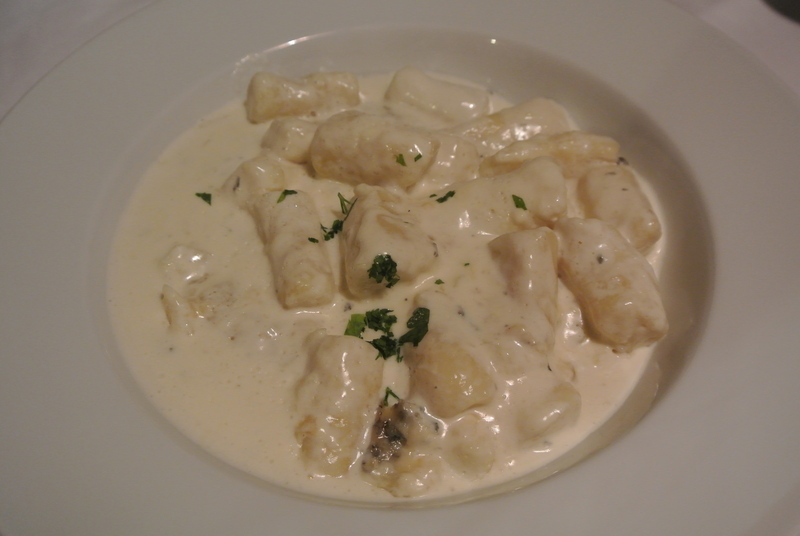 And the gnocchi, pillowy morsels of potato dumplings sitting in a cream gorgonzola sauce was comfort food at its best for me and I wasn’t even in Italy! 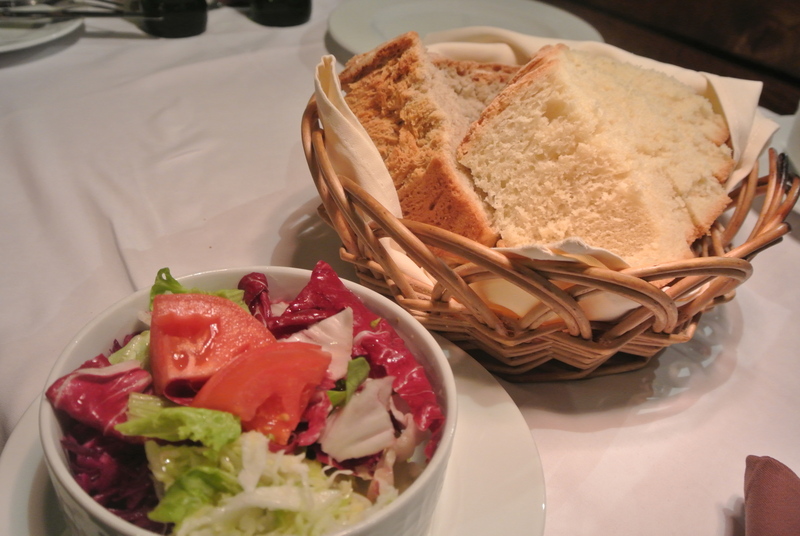 Simple but delicious cabbage and frisee salad and homemade bread. Homemade gnocchi made with gorgonzola. 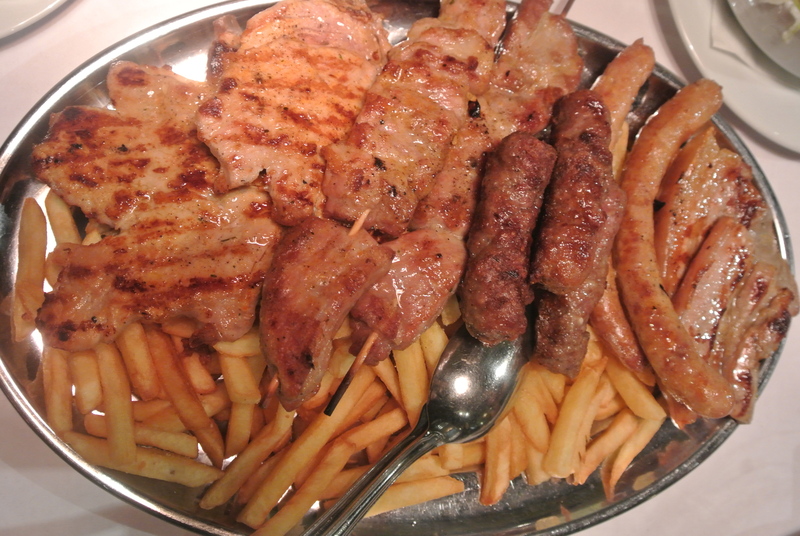 Meat platter with 5 different kinds of grilled meat. 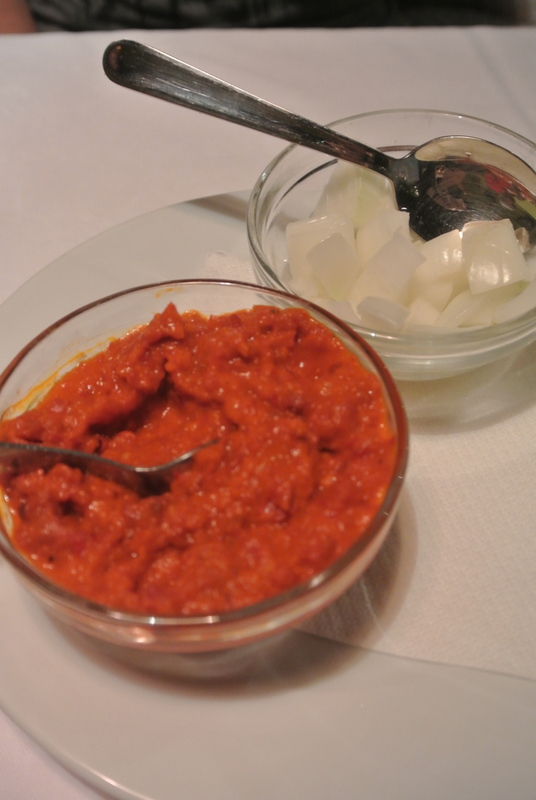 Homemade paprika (red pepper) sauce and onions.